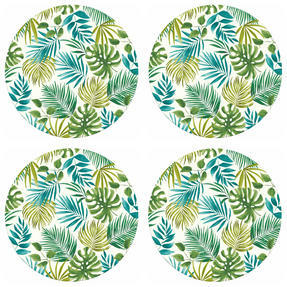 Made from eco-friendly bamboo, these four Polynesia print plates from Cambridge have amazing natural strength and durability so you can trust them to last. 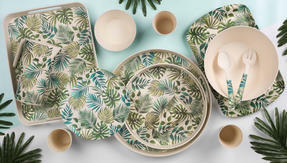 With a vibrant design inspired by island nature, the plates look superb and will bring brightness to any dining table. 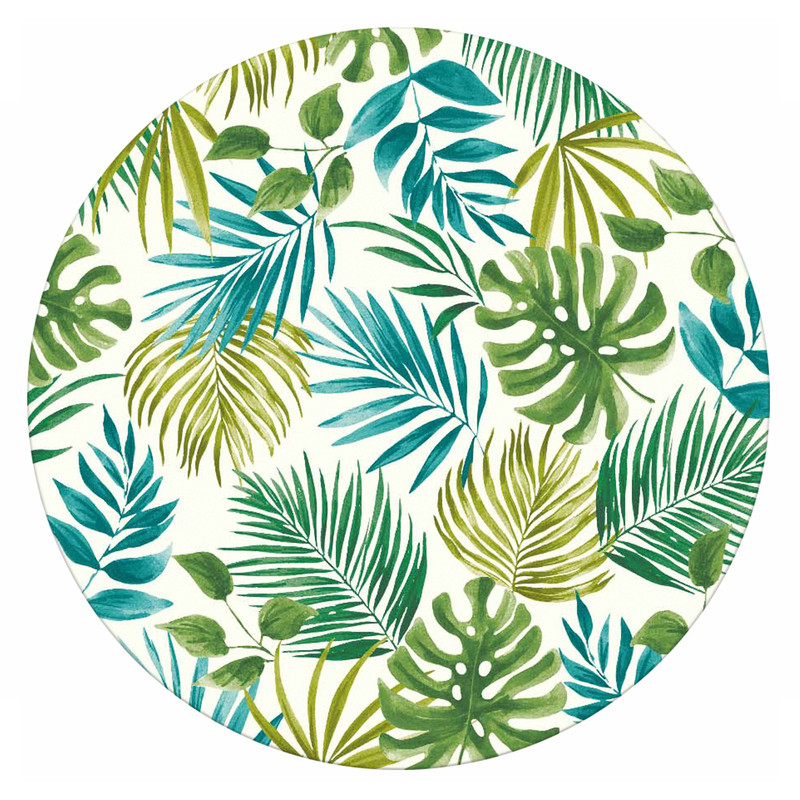 Choosing renewable bamboo plates does not mean compromising on practicality, as they are a convenient size and fully dishwasher safe. 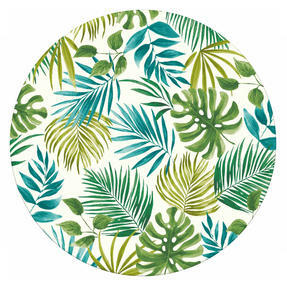 A wonderful addition to your kitchen, these plates are strong, stylish and practical. 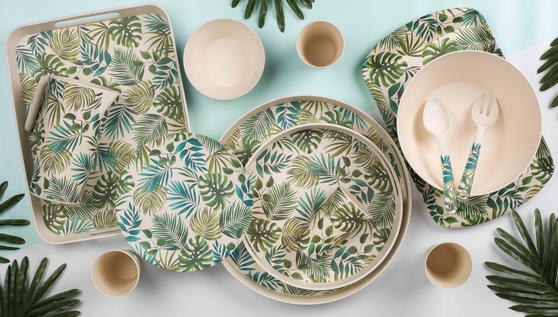 Made from natural bamboo, this wonderful set of eco-friendly plates from Cambridge is a perfect alternative to plastic kitchenware. With an impressive strength-to-weight ratio, the bamboo has the durability to withstand the demands of a busy kitchen without breaking. The plates are adorned with a Polynesian island-inspired leaf pattern, which is sure to bring a touch of exotic colour to your home. 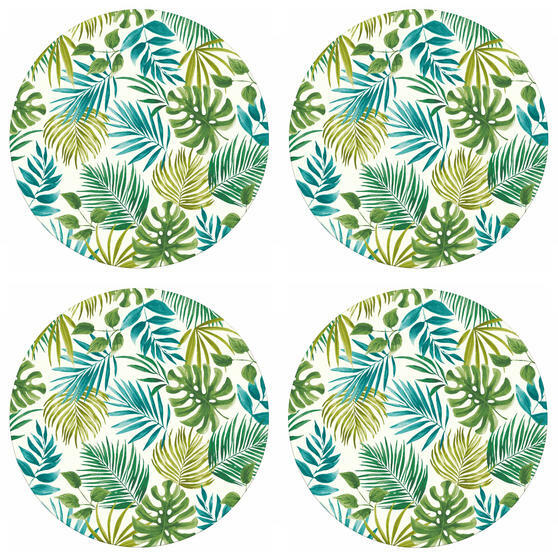 Practical as well as stylish, these handy plates are suitable for dishwasher cleaning so you will not have to worry about washing up. Measuring 25 cm, the plates are the perfect size for a generous portion of food, making them a fantastic addition to any kitchen.